We've been big fans of the Wubble toys for a long time. (You can see our coverage of Wubble and Water Wubbles for more info!) When I heard that they were releasing two new kinds of toys, I was pumped. 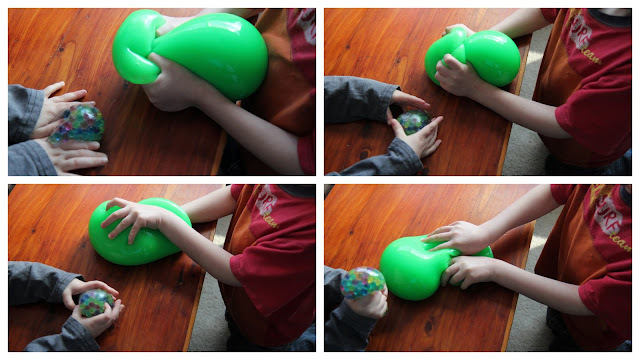 The Wubble Fulla Slime and Wubble Fulla Marbles were sent to us, and I promptly let the kids go wild. The green ooze inside the Wubble stays inside the Wubble, but kids will still have a blast pulling, stretching, and squishing the ball. My kids found the Huge Wubble Fulla Slime to be their favorite of the line. There was no mess to clean up, either. Wubble Fulla Marbles is a whole different kind of toy. While you can squish and squeeze it, the feeling is much more unique! 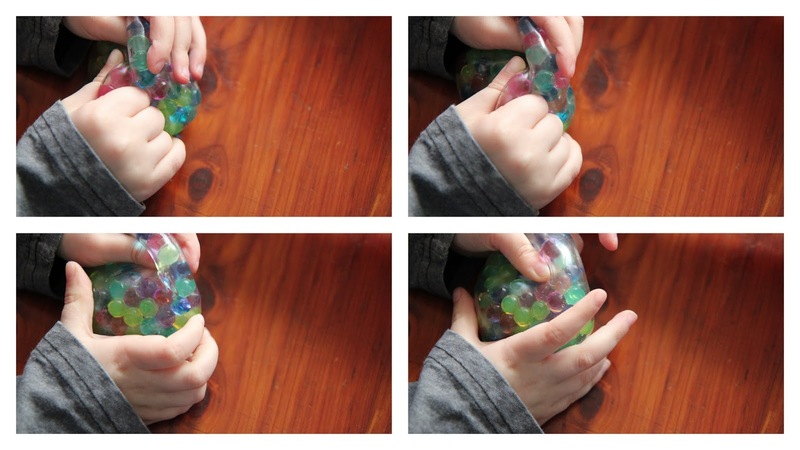 Full of Magic Marbles – colorful and squishy round balls made of a super-absorbent polymer that absorbs water -- this is a really great sensory experience for kids and adults. How do the toys hold up? The Wubble Fulla Slime lasted through some pretty rough play, and while the instructions tell you not to get the balls around anything sharp, we found the Slime one to be the toughest. My one son did get mean with the marble ball and purposely stick his fingernail in the side. It created the smallest hole, but the hole tends to stay "sealed up" during play. We've only lost a marble once or twice since this incident, so you can still use your Wubbles if they suffer damage. The Wubbles also come with instructions for cleaning and care, so be sure to read them before you play! The Huge Wubbles are great for more active play, while we really like the Tiny ones for stress relievers. If you have a fidgety or nervous child, we have found the Tiny Wubbles to be great for staying focused at their desks. It's a less annoying version of a fidget-spinner, in my opinion. You can find all three sizes of each type of Wubble at the official website! Wanna win? Enter to get your own Wubbles! You have until March 30th to enter!